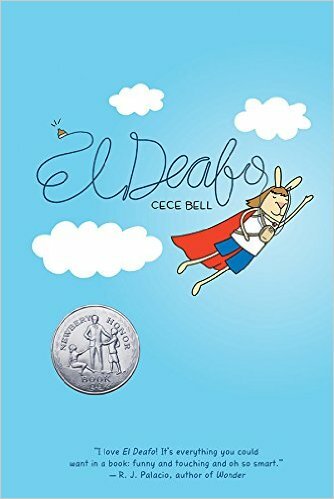 The nominees for the 2017 Rhode Island Children's Book Award are in! Look at the nominated books that will be available in our library below, watch the slideshow on Google Slides!, or download the PDF bookmark! Rip and Red are best friends whose fifth-grade year is nothing like what they expected. They have a crazy new tattooed teacher named Mr. Acevedo, who doesn't believe in tests or homework and who likes off-the-wall projects, the more "off" the better. They also find themselves with a new basketball coach: Mr. Acevedo! Easy-going Rip is knocked completely out of his comfort zone. And for Red, who has autism and really needs things to be exactly a certain way, the changes are even more of a struggle. But together these two make a great duo who know how to help each otherâe"and find ways to make a differenceâe"in the classroom and on the court. With its energetic and authentic story and artwork, this is a fresh, fun book about school, sports, and friendship.